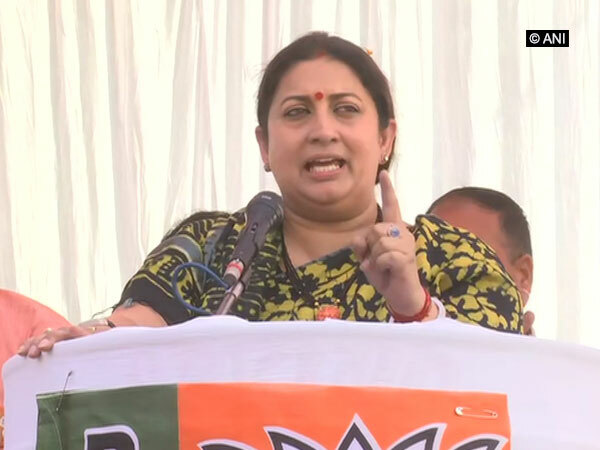 Lucknow (Uttar Pradesh) [India], Nov 17 (ANI): Union Minister Smriti Irani has pitched for the need to further empower and encourage women to come forward and work as entrepreneurs, adding that the total number of women entrepreneurs in the country is still less. New Delhi [India], Sep 4 (ANI): To celebrate the spirit of women entrepreneurship, Fashionnquill, a restaurant space fashion server, celebrated an evening at Sirocco - The Beer Garden, to support young and budding talent. Srinagar (Jammu & Kashmir) [India], June 14 (ANI): A unique exhibition is being organised from June 12 by young Kashmiri entrepreneurs for the first time in Jammu and Kashmir's Srinagar in a bid to boost women entrepreneurship. New Delhi [India], May 26 (ANI): NITI Aayog on Friday announced the signing of a Statement of Intent (SoI) with Sushant Singh Rajput, to collaborate and support NITI's flagship initiative, the Women Entrepreneurship Platform (WEP). Srinagar, (Jammu and Kashmir) [India] May 10 (ANI): In order to help women entrepreneurs set up their own businesses, a three-day exhibition is being held in Srinagar. New Delhi [India], Mar.8 (ANI): Gone are the days when women were considered submissive and no match for the all powerful male. With the power to voice their concerns, the new generation of women across the world, have overcome all negative notions and made a mark for themselves. New Delhi [India], Mar.8 (ANI): International Women's Day was celebrated on Thursday to bring to light their cultural and economic achievements. The day also saw several women calling out for more gender parity. New Delhi [India], Mar 8 (ANI): On the occasion of International Women's Day on March 8, ladies who personify 'women power' spoke about the need to #PressForProgress at the INKHer initiative launch by JobsForHer and INK. New Delhi [India], Mar. 7 (ANI): The recent past has seen a significant transformation in the role played by women across the globe, be it as a homemaker, a politician, or a corporate role model. New Delhi [India], Feb 28 (ANI): Delhi-based startup Fintech Cash Suvidha has today announced that it has successfully supported the vision of over 32,000 SMEs, MSMEs, Startups and women entrepreneurs in India with its best alternative lending services.